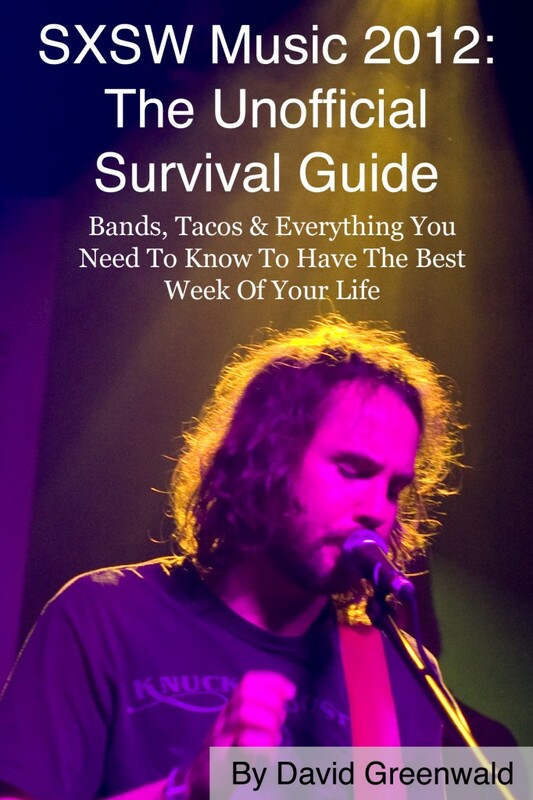 Today only: in celebration of the start of my favorite week of the year, you can download the PDF of my e-book, SXSW Music 2012: The Unofficial Survival Guide, for free. Left-click for the download link. It’ll go dark at 5 p.m. PT. Share it with your pals. Read it on the plane. One update: it’s supposed to be rainy this week, so bring an umbrella. All profits from e-book sales have been funding Waynestock II, our day party on Thursday at the Jackalope with Lissy Trullie, Big Deal, North Highlands and more. We’re still in the red — if you have a few bucks handy, please consider making a donation below. To the dozens who’ve bought it: thank you! You can still buy it as a PDF from Gumroad and as a Kindle e-book on Amazon.